Those with emotional, intellectual or physical disabilities can greatly benefit from weaving workshops in a safe and nurturing space for growth and personal expression. We work with organizations to develop workshops tailored to the specific needs of the individual who participates. Our workshops are designed to increase motor skills, strengthen memory and concentration, as well as develop confidence. Participants in our Healing Arts workshops make projects from their weavings such as scarves, pillows, bags and wall hangings. We have arranged exhibitions for our students at BLDG 92, League Treatment Center Headquarters, and Materials for the Arts. Cynthia Alberto has been leading Healing Arts workshops since Weaving Hand was founded in 2007. 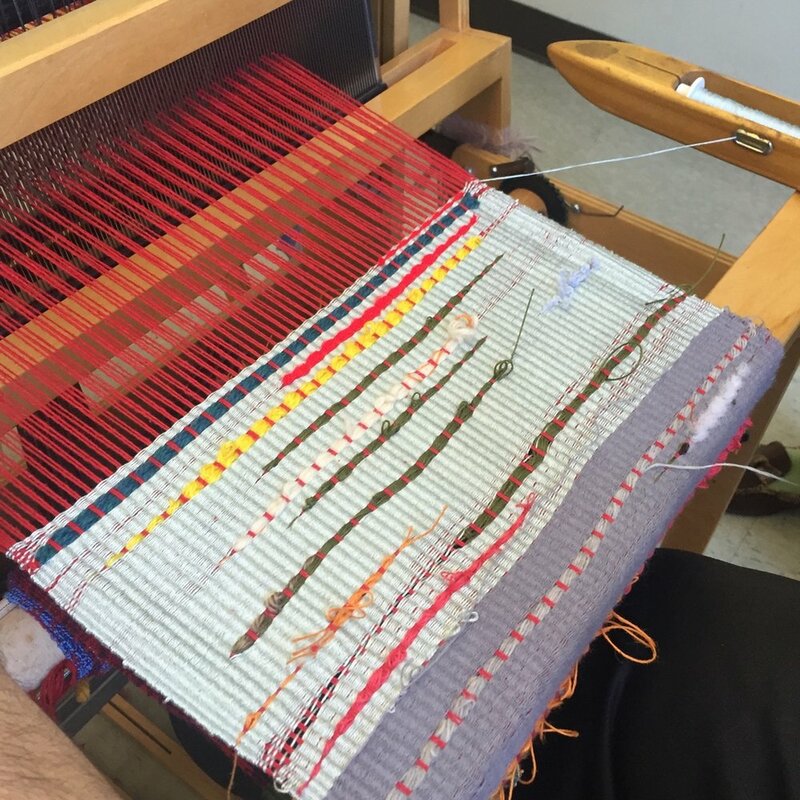 Sharing the benefits of weaving with those who need it most has been central to her career as a teacher and a leader in the Brooklyn arts community. Weaving Hand has a strong commitment to students at organizations like AHRC and League Center's LAND Gallery. If you work with a special needs population and would like to learn more about our Healing Arts Program, please contact us by phone or email. *Please note, that our healing arts is not a cure for depression or other mental health disorders and it is always best to consult a mental health professional.